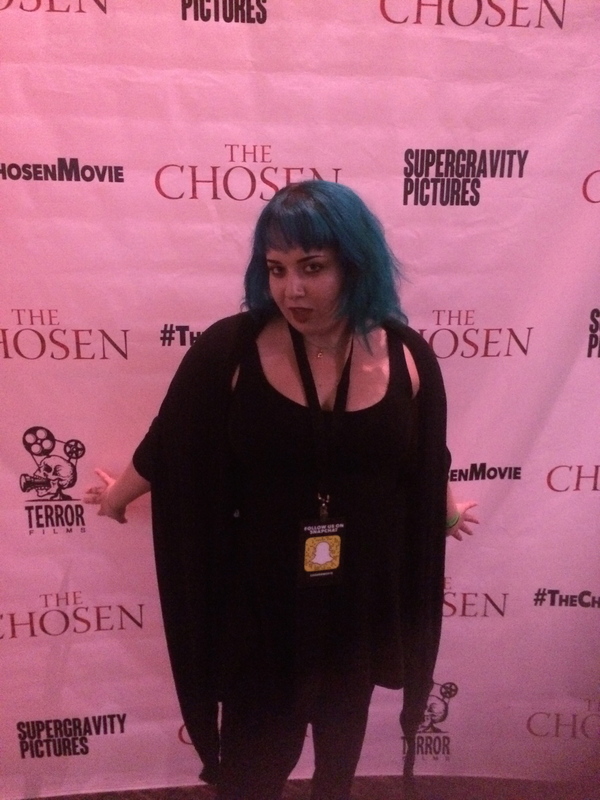 Event Recap – “The Chosen” Movie Premiere! As I’ve discussed on the blog before, I have somewhat recently graduated from Chapman University with my Bachelor’s in Communication Studies & am currently working as an Event Planning Intern. My ultimate career goals are to end up working in the Entertainment Industry in Public Relations/Publicity, Event Planning, Social Media Management, Production, Casting, etc. With that being said, I’ve started to try to apply for Casting Assistant positions or Production Assistant gigs. On July 24th, I was selected to work as a Production Assistant/Event Staff with SuperGravity Pictures at the World Premiere of “The Chosen” starring YouTube star Kian Lawley. The Black Carpet Event took place at the Gardenwalk in Anaheim. I was responsible for Check In which included not only Fans, but VIP, Industry, and Press. The short story is- it was SO. MUCH. FUN! I met wonderful people, saw some celebrities (I MET KANDEE JOHNSON! ), did some networking, and had an amazing time. I can’t wait to see what my next adventure is. If you want to be part of the journey make sure you click on that FOLLOW button at the top right of this page! Kandee, my new friend Beca, and myself! Some of the Buzzfeed team! Also, I wanted to give a shoutout to one of my new friends, the amazing Miss Carmen Sharafeldeen! In a crazy twist, we both used to work at the Starbucks in Disney California Adventure, just not at the same time. She’s lovely and talented & I can’t wait to hang out again! Please support her by following her on Social Media! YouTube, Instagram: @CutieFightsBack, Tumblr, Twitter: @dar_lingx, & Periscope: dar_lingx.